House Intelligence Committee Ranking Member Devin Nunes (R-CA) on Sunday told Fox News' Maria Bartiromo that the Committee plans to submit eight criminal referrals to Attorney General William Barr. "We're prepared this week to notify the attorney general that we're prepared to send those referrals over and brief him if he wishes to be briefed," Nunes said. Nunes said there are eight referrals but that might not be all of them. "So you've got eight referrals you're going to send over the AG this week. Go through those referrals. These are criminal referrals. Two of them I know are about conspiracy," Bartiromo said. "What can you tell us? Tell us as much as you can, in terms of breaking this news this morning, that you are prepared to send over eight criminal referrals ext week. What are they, Congressman?" According to Nunes, all of the information is classified and sensitive. "There are three that I think are more complicated. So you mentioned conspiracy. So the question on conspiracy is what, there's the conspiracy statute, and then what do they need to look at under that statute. 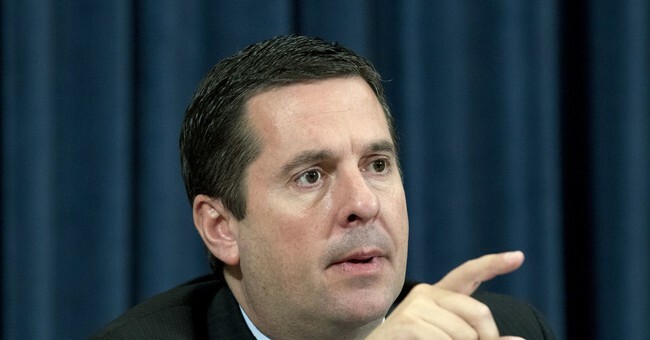 So on the first one, is FISA abuse and other matters we believe there is a conspiracy to lie to the FISA Court, mislead the FISA court by numerous individuals that all need to be investigated and looked at," Nunes said. "The second conspiracy one is involving manipulation of intelligence. That also could [involve] many Americans and we are, so that's kind of the second one. As you know, we've had a lot of concerns with the way intelligence was used." "The third is what I would call a 'global leak referral.' There are about a dozen highly sensitive classified information leaks that were given to only a few reporters over the last two and a half-plus years, so we don't know if there's actually been any leak investigations that have been open, but we do believe that we've got pretty good information and a pretty good idea of who could be behind these leaks," Nunes said. "Doesn't mean we know all the people behind the leaks because when you read these, a lot of these, they're always anonymous sources and they always say something to the effect of 'current and former senior officials.'" Nunes said he believes they have a pretty good idea of who are behind the sources. Although he wouldn't divulge the names of those being referred he did say that anyone who has followed the Russia probe for any significant amount of time would know who they were. When everything is said and done, criminal referrals could continue to grow. "We think there's only a few people behind these leaks but there could be multiple people, so on the global leak referral, there could be several individuals. When you look at the conspiracy that could get up to a dozen, two dozen people," Nunes said.